How did I not know there were miles and miles of trails to be explored around the iconic Colorado landmark of Red Rocks Amphitheatre? Perhaps because I've always been distracted by the lure of great night time musical concerts and events here, instead of focused on exploring the outdoors during the day. On my last visit to Red Rocks Park, I had the privilege of being there with a local expert and she helped bring the entire area to life, beyond the amphitheatre, including the hiking trails! 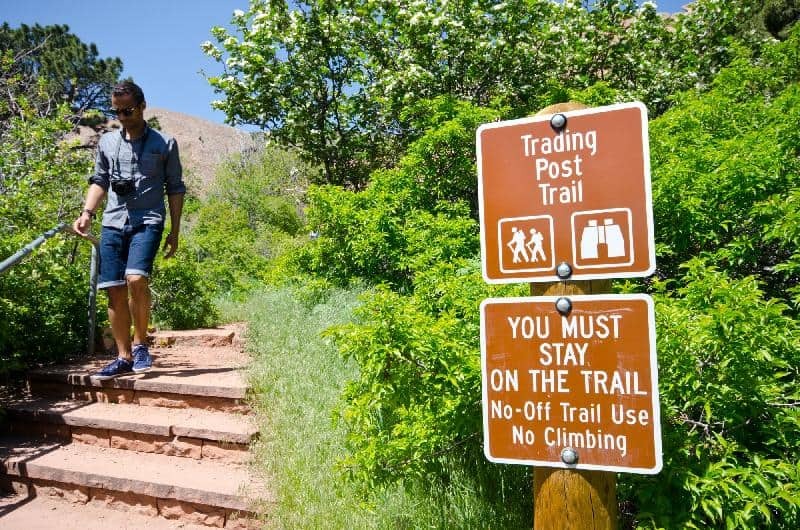 Now that I do know of the great outdoor adventures to be had here, I’ll offer up my favourite hiking experience for anyone heading to Red Rocks - get out and explore the Trading Post Trail. This is terrain more associated with Utah or Arizona than Colorado. Desert looking with the red rocks and stunted vegetation, yet strangely not that far from the soaring mountain peaks of the Rockies. 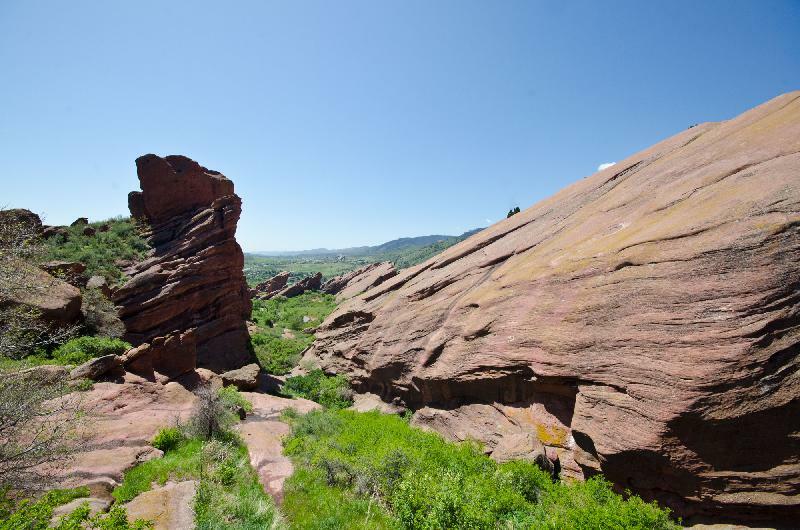 Red Rocks is part of Denver's Mountain Parks, so it's an easy day trip from the great mile-high city. Speaking of altitude, you will get a heart-thumping workout on this short trail, as it is at an elevation of more than 6,200ft above sea level. Thin air, but great views! While you may spot some wildlife scampering around or flying around the trail, it is the interesting rock formations that are the highlight on the Trading Post Trail at Red Rocks Park. This trail winds around many little valleys and formations, I actually found it quite easy to get disoriented on this little trail despite being so short and so close to a large tourist attraction. This trail is suitable for hiking only, as the path is very narrow in some areas and requires a bit of scrambling over rocks. If you're looking for something longer, or bike-friendly around Red Rocks, then there is another, longer trail you can take. 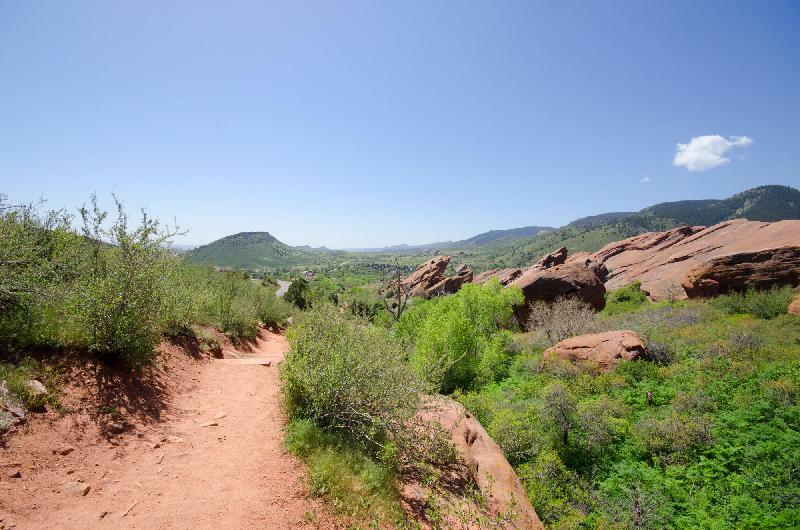 The aptly named Red Rocks Trail allows for horseback riding and mountain biking. It, along with the Trading Post Trail, is accessible from the parking lots in the park. Red Rocks Trail connects with the Morrison Slide Trail in Matthews/Winters Park, which is north of Red Rocks. Taking this route will give you a great 6-mile loop around the stunning Colorado mountain scenery. You can also take Red Rocks Trail east towards the Dakota Ridge Trail, for another 6+ mile long adventure. Overall, if you're a hiker, I say enjoy the Trading Post Trail, and if you're a biker, then hit the Red Rocks Trail. Connecting with the Dakota Ridge may be a bit more adventurous, but connecting with Morrison Slide will offer better scenery, so the choice is up to you!